New plants – Spring means green grass and plants. Although it’s quite common for dogs to like eating grass, if your dog has a habit of nibbling on other plants it’s important to make sure those plants are safe. Many garden plants as well as weeds can be dangerous for your pup when consumed. Click here for a list of hazardous plants and weeds to look out for. Spring-cleaning supplies – This warm weather may have you itching to bust out your cleaning supplies and give your home a good once over. If this is the case, make sure you keep all cleaning supplies away from your pooch, as they can be very toxic if ingested. Fertilizers – Spring is a great time to fertilize gardens, plant containers and grass. Make sure to follow all instructions on the fertilizer, especially about keeping it away from pets. 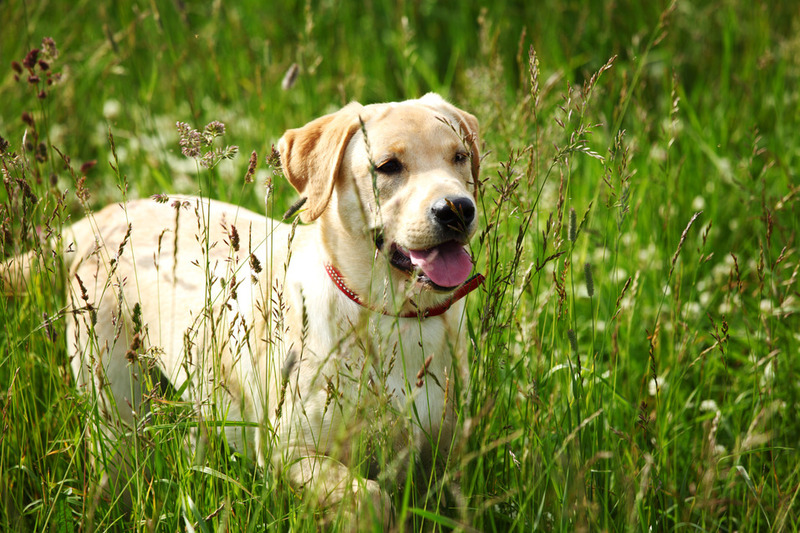 If your pup is allowed back on the grass too soon after it is fertilized, it may harm them. Seasonal allergies – Just like people, dogs can show signs of seasonal allergies. However, instead of sneezing or coughing, seasonal allergies in dogs usually appear as skin problems. Watch out for any unusual allergy signs from your dog and talk to your vet if anything appears. 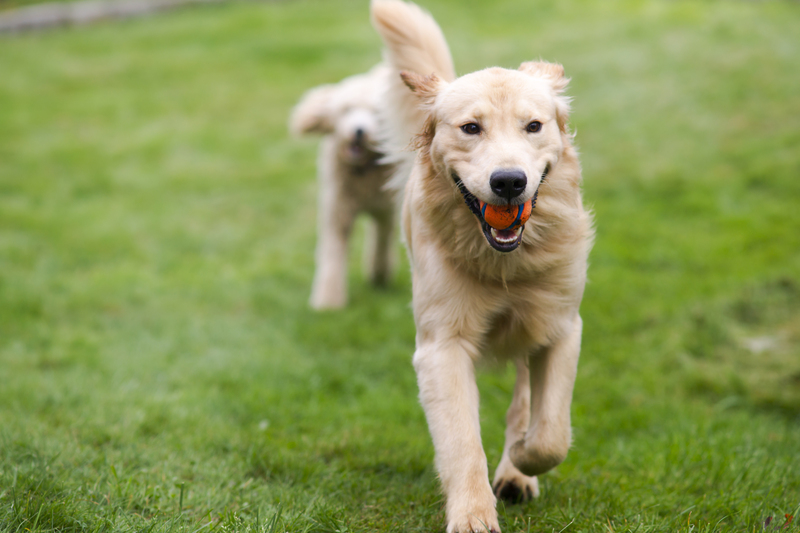 Fleas and ticks – As the weather warms, your pup may become more susceptible to fleas and ticks. While it is recommended to keep pups on year-round flea and tick preventative treatments, if your pooch is not already treated, now is a great time to start. Your friends at Lucky Dog require all pups who stay for boarding or daycare to have their flea and tick treatments up to date. For more springtime safety tips, click here.